Location: Solignac, in the Haute-Vienne departement of France (Limousin Region). 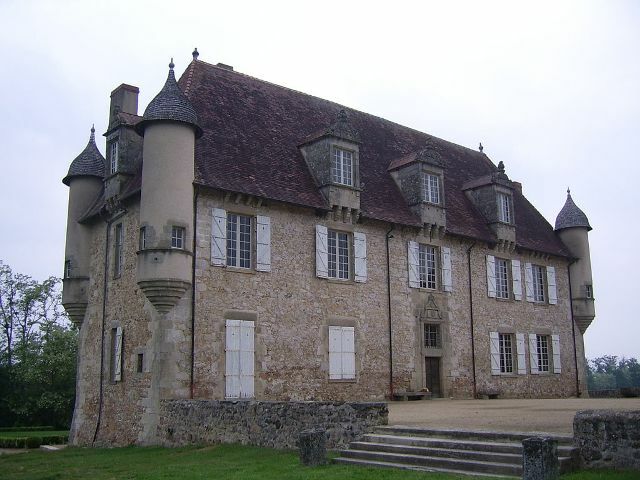 Notes: Château de la Borie (chasteu of Bòria in Occitan) is a castle of Haute-Vienne, in the commune of Solignac, a few kilometers south of Limoges. Foundation Property La Borie en Limousin, it hosts the European Cultural Centre of meetings of Borie-en-Limousin and the Laborie label which organizes jazz musicians residencies, concerts and sessions recording. It was the headquarters of the Ensemble Baroque de Limoges (EBL), until his death in 2013. The castle dates from the seventeenth century and was listed as a historical monument in 1984A "sound garden" of 7 hectares was built between 2011 and 2013 on the castle site. Designed by Louis Dandrel, Emma White and Patrick Rimoux, it combines landscape design and engineering of sound and light. Opened in June 2013, it is open to the public and is driven by a seasonal music program.Despite a satisfactory attendance (22,000 annual entries, while management hoped for 14,000), cultural structure is plagued 2014, amid strategic disagreements, serious financial difficulties leading to the establishment by the State of an expert mission, heralding a possible liquidation, finally cohosh March 16, 2015.The field is then sold on the luxury real estate website Mecure group.